Hi! I am called Neil Franklin. I was born 1965, am 1.82m (5ft11in) high and 75kg (165lb). 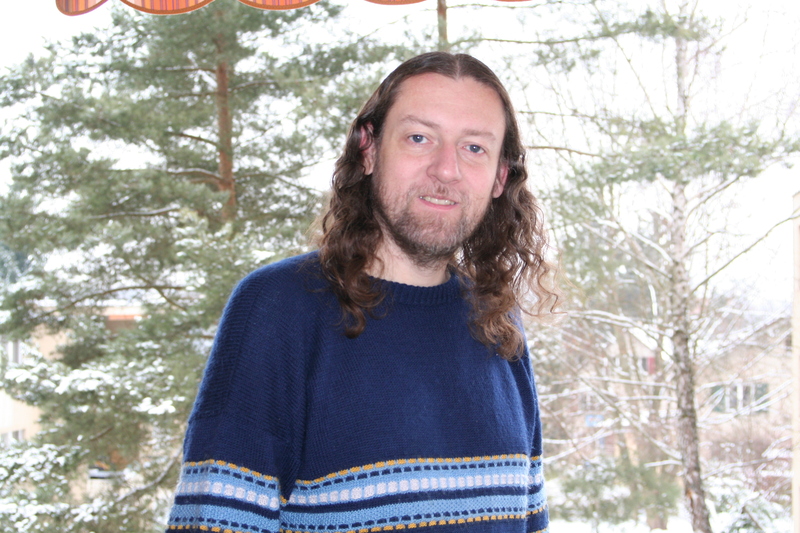 I have a bit over shoulder length dark brown wavy hair, a short beard and light blue eyes. I prefer wearing pullovers or t-shirts with colourfull patterns (no text), jeans (allways blue) and comfortable shoes. And of course a belt with bag for various tools: pens, notebook, Screwdriver, Victorinox, Leatherman, xenon bulb lamp, measuring tape, surf and camera mobile phone. 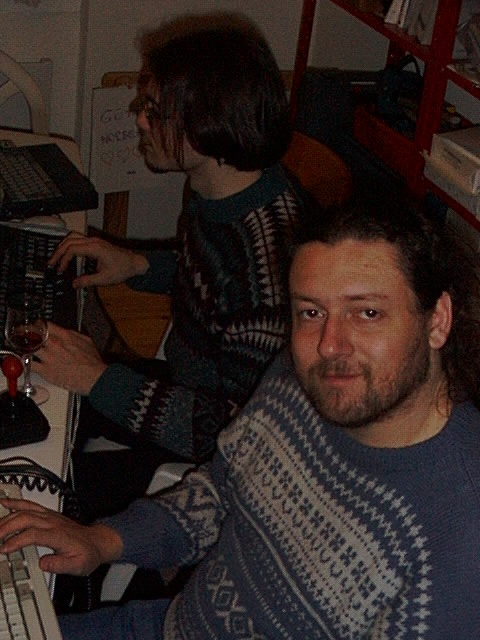 And in the meantime there is also exist a few photos of me: 1998 Obstalden. 2000 ETH Arch. 2002 ETH Phys, 2003 LUG-Camp Felsberg, 2005 at home. I was born in Derby in England as the first child of my parents Clifford and Rita. I have a two years younger sister Karen. I vae no girlfriend, doe to lack of interest. I lived the first 6.5 years of my life in Ockbrook (a small village near Derby). In November 1971 my family moved to Oberwinterthur in Switzerland. There we have lived ever since, at three different addresses, at the current one since the late 1980s. I live at my parents as sub-tenant, that is simple less expensive and less work, and they have the space and are delighted to have company ant that someone is here when they are traveling. Which idiot actually came up with the idea of abolishing multiple generations living together? I went through various forms of education, kindergarten, shool, apprenticeship and study. Here the work I have done, at apprenticeship and jobs. At the moment I am looking for an new job, begin from immediately on. Interests are work in low-level programming, driver programming, control systems, measuring systems, laboratory automation, real time stuff, and other similar technologically challenging stuff. Platforms microcontroller 8bit or 32bit, SoC systems (NAS, WLAN APs), embedded PCs. Languages Assembler or C or Java or script languages. Environment bare metal or driver librariess or Linux. Knowledge and experience mainly software, but I also understand electronics schematics and data sheets. Ideal is part time work in range 50-80%. Permanent or limited duration or employed for the duration of an project. No interest in webapps, CMSes, transaction processing, EDP, ERP. Avoid Microsoft if possible. Absolute K.O. criteria are assignments in weapons/armedforces ("you shalt not kill"), legal/lawenforcement (repression by institutionalised threatening of revenge), finance/stockexchange (social parsites), and advertising (mental environmental polution). Here the hobbies that I like to do. Here the Computers that I have used, and the Projects which I have done with them.